Pan Islamic industries (Pvt) Limited (PIIL) is one of leading engineering company in Pakistan. 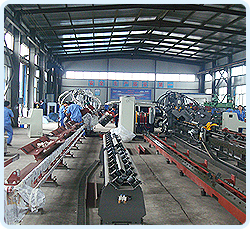 Since 1979, PIIL has been dealing in telecommunication industry in general and in all types steel structure in particular with production capacity of 15000 tons annually and is fully capable of meeting with all types of steel engineering demands. PIIL is modern heavy engineering complex, one of the largest in the private sector, and specialized in all kind of tanks, pressure vessels, heavy duty and light duty steel structure, telecommunication towers, stainless steel jobs carpentry works and heat exchange etc also in the trading all kind of earth moving machinery and industrial machinery. PIIL has a well-planned workshop, equipped with machinery tools, welding plants, tanks, vessels, steel structure, heat exchanger and stainless steel manufacturing facilities. The workshop facilities are acknowledged within the industry as being one of the most comprehensive set-ups that covers most of the manufacturing aspects of all kind of jobs Atomic energy commission, chemical, petrochemical and process industry as whole. PIIL has an independent Quality Control Department, which is directly responsible to the chief executive. 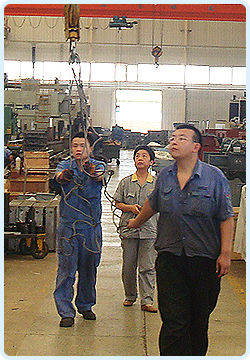 The pressure vessels, LPG tanks/browsers/ cylinders and all kind of the tests are subjected to radiography, ultrasonic, liquid penetration and other non-destructive testing conforming to the DIN,AWS, ASME pressure vessels code and standard must be carried out, under the supervision of professional agencies. We are also registered with DGP (ARMY) Air force and Navy since 1985 and supplying them steel drums, jerry canes, Ammunition boxes etc. Beside this, supplying them mobile crane industrial machinery bridges etc. PIIL is also ISO 9001-2000 certified due to its best quality and good facilities of manufacturing. All the welding procedures for pressure vessels, LPG equipment and tanks are primarily approved and subsequently the actual welding process is stage inspected and certified by internationally recognized inspection agencies such as Lloyds, SGS, and ABS etc. the pressure vessels leave our workshop only after the above-mentioned authorities have dully stamped it.